ahead of the start of the Volvo Ocean Race 2011-12. CAMPER skipper Chris Nicholson is so confident in his yacht and crew that he reckons they could start the Volvo Ocean Race now. The team have sailed more than 10,800 miles together and Nicholson says their Volvo Open 70 is 99 per cent race ready. Following the arrival of CAMPER into Alicante today Nicholson said it was now down to fine-tuning, with the race set to start in the Spanish city next month. ‘We need to just work on ourselves, our boat is 99 per cent there,’’ the 42-year-old Australian said. Nicholson said his team would also use the next month to gain more experience in running and reaching conditions, which have eluded them in past training sessions that predominately tested the team’s upwind ability. The crew is also finalising details of its sail design, ensuring all its required measurements are in-check and refining its crew work for in-port racing. 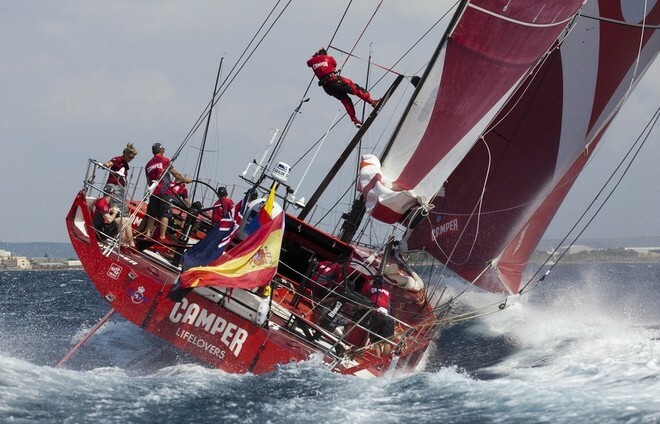 Part of Nicholson’s confidence stems from CAMPER’s unusual configuration of having her keel in front of her mast, which was designed by Marcelino Botin and the Emirates Team New Zealand design team. Nicholson admitted the concept took a couple of days to warm to, but now, he said it was just one of many design aspects that made CAMPER stand out. ‘The boat is as good as you can hope to steer, it’s by far the best boat I’ve had balance wise and that probably includes dinghies as well,’’ Nicholson said. ‘It has a great feel with regards to the trim, the drivers know exactly when something isn’t quite right. Fellow Australian CAMPER crewman Will Oxley agreed with his skipper, saying the design of the Volvo Open 70 had given the team added confidence. ‘We’ve done about 10,800 miles on the boat so we like to think we know her pretty well,’’ the navigator said. 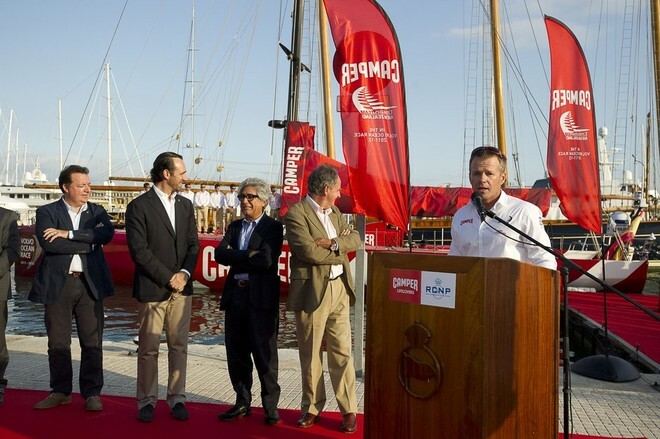 CAMPER joined Team Sanya, Team Telefónica and Groupama sailing team in Alicante. Abu Dhabi Ocean Racing and PUMA Ocean Racing powered by BERG are expected to arrive later this week ahead of the first In-Port Race on October 29. Previous news: National Day Holiday in Sanya…rain or shine!